Like many other properties in the foothills, our land has a long agricultural history. 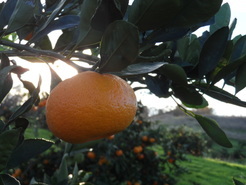 Adjusting to the times, it weathered the transition from sheep, to pears and plums, to cattle, and most recently to Satsuma Mandarins. Originally owned by the Livingston family, the farm passed to one other owner before the Martins moved in.